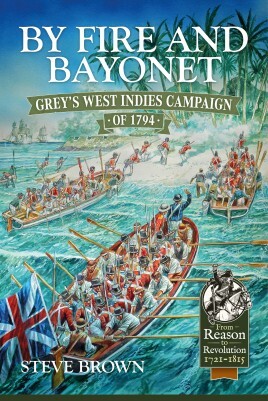 There have been few books about Grey's glorious (but ultimately ill-fated) West Indies campaign in the early years of the long and terrible wars of 1793-1815, yet five of the subalterns in Grey's expeditionary force went on to command divisions in Wellington's Peninsula army; another two commanded the Iron Duke's Royal Artillery; and one (Richard Fletcher) - famously - the Royal Engineers. The tactics used by Sir Charles Grey were as far removed as can be imagined from the traditional image of the two-deep British line delivering massed volleys at pointblank range. The invasions of Martinique, St Lucia and Guadeloupe were raids undertaken by Special Forces, who were instructed to operate in open order, in silence and at bayonet-point; all attacks went in with unloaded muskets. Most of the heavy-duty fighting was undertaken by converged flank battalions, grenadiers and light infantrymen - assembled under hand-picked field officers and used as stormtroopers in every major assault; here were French revolutionary war tactics that are largely unexplored and largely undocumented (at least in modern times). Sir Charles Grey was one of the most aggressive British generals of the era - something his gentlemanly appearance and demeanor did not immediately indicate. Ever cheerful and optimistic - and humane and loyal to his friends - his ability to deliver needle-sharp assaults and then harry a defeated enemy (the latter being something at which British generals of the Napoleonic era were distinctly mediocre) makes him one of the more interesting personalities of the early portion of the 'Great War with France'. If he was not ultimately unsuccessful, it was not his fault: he was robbed of the resources he needed at the outset; then given virtually no reinforcements by Horse Guards. The great killer on this campaign was not the French... it was disease: principally, Yellow Fever. Of the 6,200 men who landed with Grey on Martinique in February 1794, some 4,100 were dead by Christmas - such then is By Fire and Bayonet an account of a very dramatic period for the British Army in the West Indies. It took many years to learn the lessons presented by the campaign, but for the young officers who survived, it provided some invaluable lessons that were put to good use 15 or 20 years later in the British Army of a later era. Steve Brown - editorial and commentaries - is the author of Wellington’s Redjackets, the History of the 45th Regiment of Foot 1807-1815 and is also a frequent contributor to (and book reviewer for) 'The Napoleon Series' website. 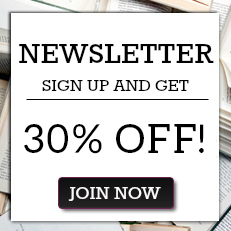 His forthcoming works include a history of Sir Charles Grey’s West Indies Campaign of 1794. He is not related to William Brown.
" Brown does an excellent job [not only giving] us a clear picture of Grey’s tactics and the conduct of amphibious operations in the period, but he also discusses the devastating effects of fever on troops. A good read for those interested in the French wars or combined operations."